What do you think this is, an Elder Scrolls game? The UI told me to hit LT or RT to get off the mount, which I did, but apparently that somehow ended up attacking someone in town (I assume an NPC?) and I was quickly murdered by guards, way faster than I could even read the text on my screen explaining how to get rid of my bounty. I respawned and was shown a message saying I'm no longer "upstanding" or some similar adjective. Does this matter at all? And can I really just attack any NPC any time I happen to hit RT in town, or did I just get unlucky in the position/timing I did that. There are a great many settings that you can tweak until you get the game the way you like it. Make sure to check out that menu thoroughly. If you hold the mount summon button you will get off of the horse without attacking. RT/LT is for a QUICK dismount(meaning to fight an enemy). Thanks for the answers and suggestions, all. I'll definitely update my settings. I will probably just give up on crafting...it seems like there's absolutely no need to do it, I already have tons of potions I never use and can't make any armor anywhere near what I would want to wear, but I always have enjoyed messing around with crafting systems. Oh well! I should probably sell stuff more frequently. I had been hording skill points because all of the Skill Advisor suggestions for me were above my levels in the relevant abilities, but at some point I figured having 10 unspent skill points was probably a bad idea. Any particularly useful skills to look out for early on? I've mostly been fighting with a Restoration Staff, though I've started messing around with sword and shield just to mix things up. I'm liking the story in the Dominion quest line, although having just arrived at Skywatch, I'm hoping they expand out of the pattern of "go help these people, hey, wait a minute, maybe they're not the good guys!" that has repeated itself several times now. The main quest stuff is reasonably interesting too, even if it seems completely disconnected from everything else I'm doing in the game. I wouldn't get too bogged down in aiming for a 'build' if you're just starting out, once you get to the stage of having enough skill points/levels to go for your preferred build, you should easily have enough spare cash to re-spec both attributes and skill points. The ESO Plus Bonus Event is now live until July 15. To thank you for being one of Tamriel’s VIPs, we’re giving you the chance to earn up to 6 Psijic Vault Crown Crates absolutely FREE! You’ll receive one crate for each day you log in between July 10 and July 15. Your Crown Crates will be awarded to your account by July 20. I'm up to Level 25 now and started the final main quest. It's been fun, although I think I'll probably bail after finishing the main quest. I did like the alliance quest line, but I've kind of lost the thread of what the next step is for me (I did most of the quests on Auridon and have now done something like 85% of the quests on Grahtwood...I think probably the quest line continues on one of the other zones, but I'm not sure which one). I've been surprised by how challenging the combat ended up getting for me in the last few hours. It may just be a sign that I haven't equipped the right weapons or armor or spells, but it's making things interesting, anyway, even if generally my "strategy" just involves not pulling too many enemies at once, running around in a circle using my restoration staff and spells, and using a healing spell any time my health dips. I may hope into Oblivion next via Game Pass, as I only ever put a few hours into that ages ago. Finished over the weekend. I didn't love the way the last quest led to a new quest line in Coldharbour...I had been enjoying racing through the main quest a bit, so to suddenly find myself bogged down in that series of quests felt a little frustrating, although I suspect if I had played it years ago when the pacing was different it might've felt more rewarding and natural. I found the Coldharbour quests particularly frustrating because they seemed to have a lot of the sort of quests where there wasn't just an icon on the map to run to, there was more wandering around and trying to find the right thing. It also felt like the main characters from the rest of the quests should've been involved, but weren't until the final step of the final quest. So after defeating Molag Bal, I'm given an option to claim a reward that seems to be basically "you can start over on the main quest line but from a different alliance." Does that reset any of my other quest progress, or is it purely for the main quest? Does that stop me from pursuing the Dominion alliance quests? Do I have to change my character's race, or does my character stay the same? I will probably set this aside for now (maybe wait and see if they add any of the expansions to Game Pass or if I see them come on sale? ), though I'm still leaving installed for now in case I get an itch to play more. At its best, this game has some surprisingly interesting story beats and character choices and totally adequate combat that is fun to churn through while listening to a podcast. I'm glad I gave this a shot. It doesn’t reset any progress or restart the main quest or affect your character in any way, it just allows you to travel to the other faction areas and quest through those areas. Back in the day it was the only way to access those areas. It’s probably not as useful these days since you can basically go anywhere at any level now. There’s some costume stuff and achievements that you can only get if you follow the post-main quest stuff with Cadwell but none of it is really that great compared to the amount of effort it requires. FWIW, most of the dlc and expansions are pretty good, a few better than the main game even, if you haven’t already touched that content. No progress is lost in any aspect of the game, nor is anything changed regarding your character. People simply act like you aren't already the savior of Tamriel, and don't react if you're not playing one of the "correct" races for that particular faction. I definitely recommend Morrowind and Summerset, and the Orsinium and Clockwork City mini-expansions were also a lot of fun. They improved the world design and story-telling a lot, so you've got a lot of good stuff to look forward to there. Thanks for the clarification! It felt like I was being presented with a big "point of no return" kind of option that I didn't really understand, so I was wary of going along with it if it might blow things up, sounds like it's pretty safe. So I just bought a new rig. Got everything set up and some games installed. What's the first thing I fire up? Four year old ESO! I'm back!!! I'm still working through the original content, but I might skip ahead and grab an expansion or two soon. There's something about my personality that wants (needs?) to do everything in order for some reason. I had that same 'issue' trying to go through Cadwell's Silver and Gold before starting any of the DLC... but the DLC just come out thick and fast and going through in order gets further and further away. I ended up just hitting the main quests to finish Cadwell's Gold, without actually finishing the areas like I did with the first zone, and Cadwell's Silver. The Main DLCs are pretty awesome. some of the smaller areas can be skipped without any major drawbacks. A lot of the DLC has such improved storytelling and world design that it's hard to go back to the original content, at least for me. Orsinium -> Morrowind -> Clockwork City -> Summerset is a great path through some really fun content. You won't regret setting aside Cadwell's Silver/Gold in order to go through that other stuff. The thing I like about the original stuff is the bite-size quest lines. "Save a village from zombies" or such only takes an hour or so which has been perfect for my schedule right now. At the very least, I'm going to ride through all of the zones and grab every shard before I move on. Question: does the Dark Brotherhood and Thieves Guild stuff all take place in the original zones? I'm pretty sure they were smaller DLC that have their own zones - although they do unlock abilities that can be used throughout the whole game world though. The Summerfall event is going on now. Not at all clear if it's actually feasible for players to reach 100% and unlock a free manor house. It looks pretty nice. If you have Summerset you can help out by just getting the achievement for visiting the striking locales in Summerset and Artaeum. Shouldn't take long at all. The super duper deluxe Online Collectors edition is 50% off right now. I picked it up last night. On top of the $20 I originally paid for the base game, I'm up to $60 total for all of the content to date (except Clockwork City). Quite the deal, in my opinion. I haven't even finished Caldwell's Gold yet, I and now I have too many choices! That's a good problem to have. I just finished playing through Morrowind and Summerset for the second time while levelling up a magicka nightblade. Just hit 50 and geared. Very much looking forward to Murkmire. There's talk of it being a daily reward in November, but I'll probably sub for a month anyway to be able to play Wrothgar and the Thieves Guild/Dark Brotherhood quest lines. 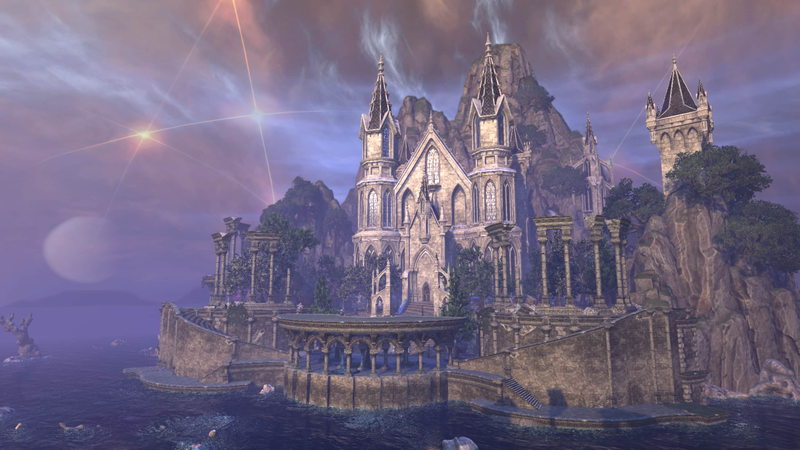 Oh, and the Summerfall community thing succeeded, so make sure you at least log in by 7th October if you own Summerset to qualify for the rewards, including the Grand Psijic Villa. 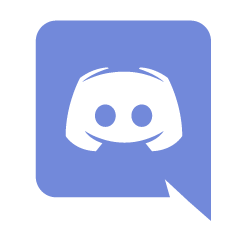 Does anyone have like a free referral code or something that gives me the game as a trial or the base game free? My son bought it (summerset I think plus some DLCs) and wants me to play it as well, but I don't want to buy it if I won't like it. I can't find it on sale anywhere currently. I did play it on PS4 for a while and enjoyed it. I don't think there's ever been any form of free trial for ESO, sadly. Are you looking for PC or PS4? PC. I did see it for $20 bucks on sale just now on one of Key sellers. Apparently it comes with the base and summerset. if you're unsure about the game, then going straight to the latest expansion release is a bit like going straight for a GOTY version of some other game. There's an awful lot of game in there, but there's also an awful lot of game that is meaningless to you if you don't like the game. If you can find the base game (Tamriel Unlimited) or the first Expansion included (Morrowind), then it might be a better (cheaper) starting point, although you obviously couldn't do the Summerset content, but you can always add that later if you do like it. Halloween time usually means a bunch of sales, I'm sure if you're patient you can find the base game for 5 or 10 bucks. I bought the base and summerset. $20 to be able to play with my son (even if I end up hating it which I doubt) is worth it. As I understand it, I'll be able to buy the other DLCs as we get to those areas. So, that'll be in about 700 hours, then. This is kinda nice: if you log into ESO 24 days in November, you'll get the Murkmire DLC for free. I have a basic question. How do I find in game events? All i can see on the map is the event merchant. So if I want to take part of the Halloween event and get the mount, where do I even start?